Once you confirm your registration, you will be eligible to begin taking surveys. For each survey you complete, you will earn VIP points. 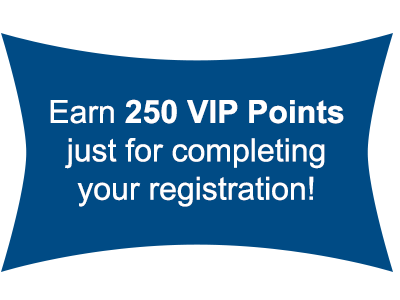 With our tiered rewards program, the more surveys you take the more points you earn. You must take at least two surveys to be eligible to enter our $5,000 Scholarship Sweepstakes. The more surveys you take the better your chances are to win! We may send you surveys based on your geographic region and local area.